-Laura Cameron and David Matless, “Translocal Ecologies: The Norfolk Broads, the ‘Natural,’ and the International Phytogeographical Excursion, 1911,” Journal of the History of Biology 44.1 (2011): 17. Your humble author at the Seager Wheeler Farm, 31 May 2018. Photo credit: Erin Spinney. In 1911 Saskatchewan farmer Seager Wheeler won the international prize for best spring wheat at the New York Land Show with a bushel of Marquis wheat. Within a few years, Marquis accounted for upwards of 90% of Canada’s grain exports . Wheeler, working on his quarter section in Rosthern 75km north-east of Saskatoon, repeated this feat in 1914 and 1915 , helping to launch the hybrid varietal’s rapid rise to prominence on the Canadian prairies. Just over 100 years later a group of well-fed historians, historical geographers, and public historians rolled on to Wheeler’s farm, now a national historic site of Canada, to explore this landscape of science with local historian Larry Epp as part of CHESS 2018. Epp explained how settlers in the late nineteenth and early twentieth century had to modify both the prairie landscape as well as species of western food and ornamental plants to establish agricultural settlement. Wheeler’s farm site and the Sutherland Forest Nursery, which we visited the following day, are reminiscent of central Canadian farms. The residences and barns, surrounded by trees and ornamental plantings, would have been familiar to settlers moving onto the prairies from other parts of Canada. As David Moon notes in his reflections on CHESS 2018, migrants purposefully introduced many of these plants from Eurasia, and as I noted in my remarks at the Wheeler House, represent the efforts of Dominion scientists based at experimental farms across the country . Stephen Bocking argues in a NiCHE post from 2015 that”scientific activity has ebbed and flowed across the Canadian landscape, responding to government and industrial patronage and scientists’ priorities.” Wheeler’s achievements in bringing Marquis wheat to the attention of farmers on the Canadian prairies—and beyond—as well as his success in enlisting plants from around the world in creating a place that felt like home are a clear demonstration of the flow of scientific activity across Canada, as well as the networks of relations described by Cameron and Matless in the epigraph above. 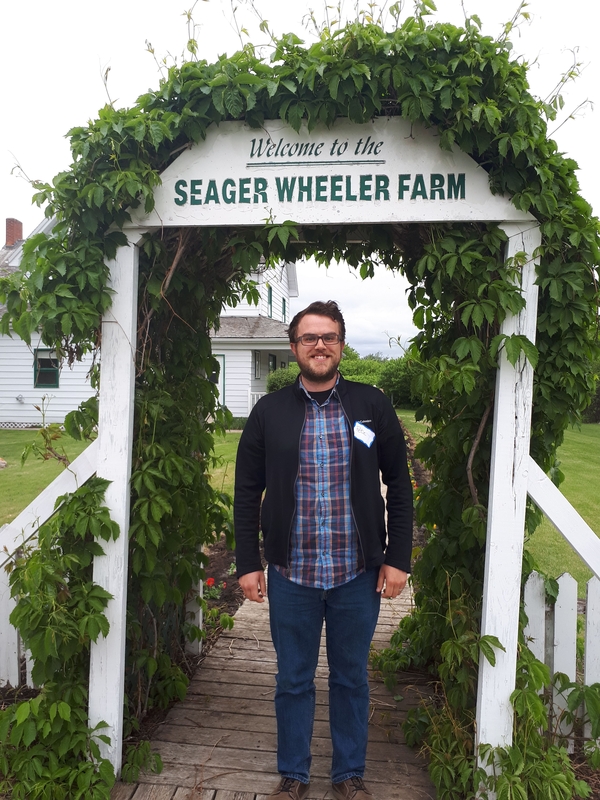 As a historical geographer of science, the conceptualization of place as “a network of relations” helps guide my understanding of how local scientific sites, such as the Seager Wheeler Farm, fit into national and international networks. Where my own research has focused on the particular place and role of the Central Experimental Farm in Ottawa, I recognize that without the collaboration of farmers across Canada and scientists around the world the efforts of my Farm would have come to nothing. I live very close to the Central Experimental Farm in Ottawa and my research has taken me to important sites of imperial science in the United Kingdom. CHESS 2018 provided the opportunity to visit local sites of these globe-spanning networks for the first time and, in doing so, helped cement my appreciation of the magnitude of geographies involved in supporting Canadian agriculture and agricultural science. Local farmers received extensive state support in these settlement efforts. This included scientific research conducted by the Dominion Experimental Farm Service and directed by the Central Experimental Farm in Ottawa. While Marquis wheat is perhaps the most famous product of the experimental farms, many of the plants historically grown by Wheeler, as well as those grown by the current custodians of his estate, can be traced to the experimental farms. Ottawa-based scientists such as William and Charles Saunders, William Macoun, and Isabella Preston bred hardy cereals, apples, and ornamentals (including the ever-present lilacs) specifically for western Canadian homesteads. The Central Experimental Farm, as well as the network of branch farms, stations, and substations across the country, were sites of experimentation, breeding, and transshipment. Scientists and farmers gathered plants from across the country and around the world to be tested for their hardiness and suitability for Canadian agricultural conditions. Dominion scientists studied plants, animals, and agricultural techniques from around the world. Where existing crops failed to meet Canadian needs, they developed hybrid varieties in decades-spanning breeding projects. The best of these were shipped to farmers across the country, including Seager Wheeler, for localized testing. 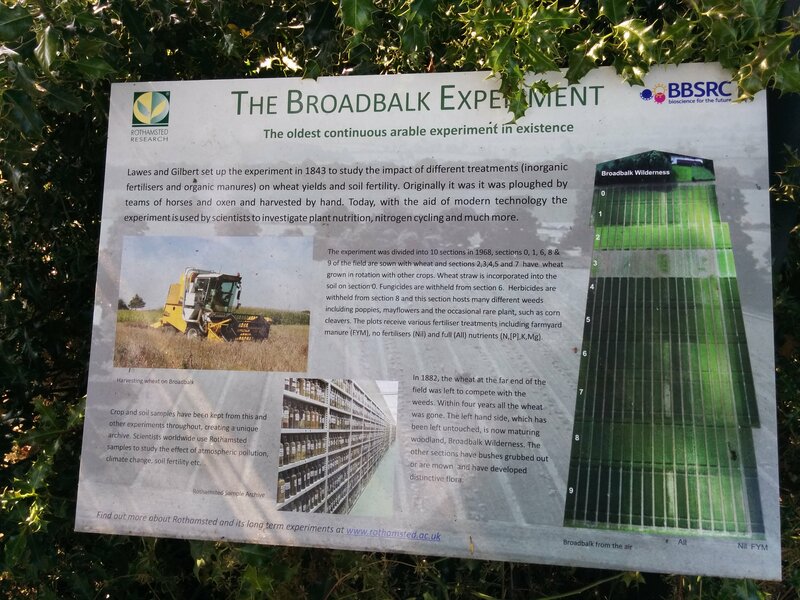 Farm scientists gathered reports and collated data from these co-operative experiments. Their conclusions and recommendations were then distributed in published circulars, reports, lectures, and travelling exhibitions. Scientists at the Central Experimental Farm and agricultural experimenters such as Seager Wheeler relied on a carefully cultivated network of international collaborators for the success of their projects. This included important research sites in the heart of the British Empire, such as Rothamsted Experiment Station in Hertfordshire, England, and the Royal Botanic Gardens at Kew, in Richmond outside of London. Distribution of wild rice seed from the Central Experimental Farm by RBG Kew to British experimenters, 1909. 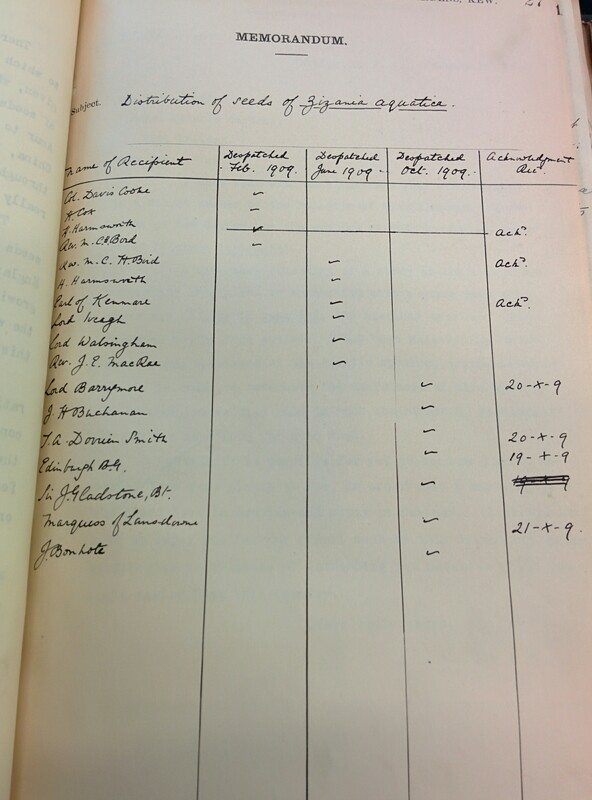 While there are no direct connections between Rothamsted and Kew with Marquis wheat, these stations played a key role in assembling the knowledge and plant materials necessary for the Canadian experimental farms. Writing after receiving the first shipment of seed from Kew in 1886, less than two months after the establishment of the experimental farm system in Canada, founding farm director William Saunders told Kew’s William Thistelton-Dyer that “Canada will not much longer be a clank” in the agricultural research of empire . Further, just as the Central Experimental Farm acted as a transshipment point for seed received from Kew, so too did Kew distribute plants and seeds from the Central Experimental Farm to local experimenters across the United Kingdom. 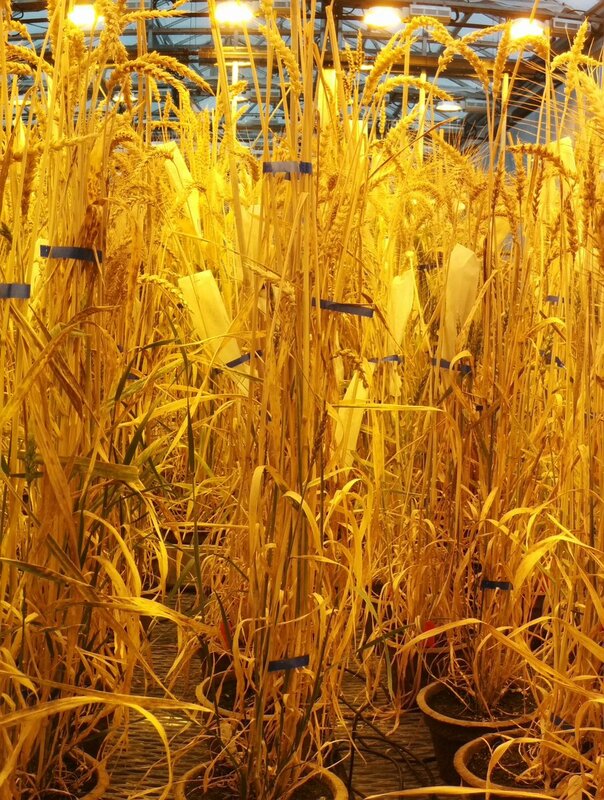 Marquis Wheat grown in greenhouses at the Central Experimental Farm, June 2016. 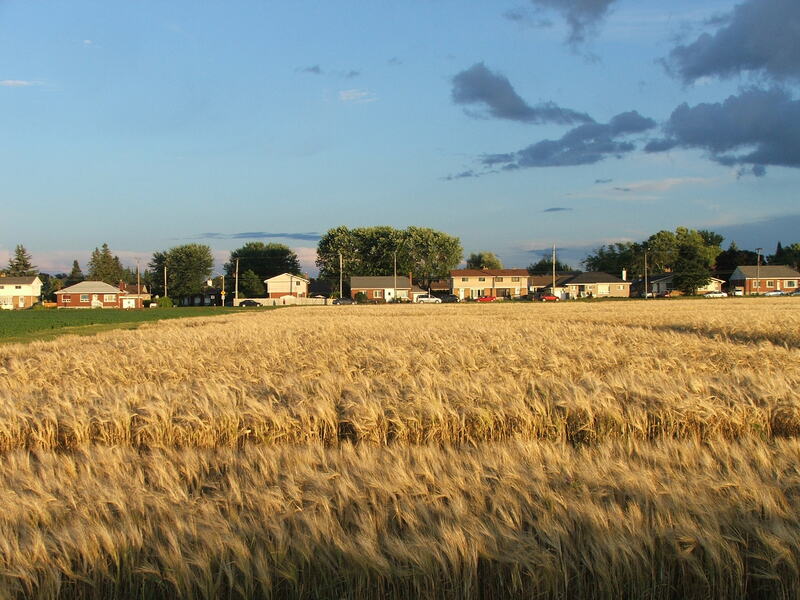 There is a persistent rumour in Ottawa that Marquis wheat cannot be grown at the Central Experimental Farm as a result of the micro-climate caused by its envelopment by the city after the Second World War. Although it’s true that Marquis isn’t grown on the fields anymore, it’s not because of climate. Rather, scientists continue to grow it in greenhouses as a negative control in SR2 stem rust resistance research, because it is susceptible to many current plant diseases . Plant breeding that targets disease resistance remains an important part of the Central Experimental Farm’s mandate and is often conducted alongside international partners who are facing similar threats to their agricultural capacity. In this way Marquis wheat continues to enact local, national, and international networks of agricultural science. A.H.R. Buller, Essays on Wheat (New York: Macmillan Company, 1919): 172-173. See, for example: Serving Agriculture: Canada’s Ministers of Agriculture (Ottawa: Department of Agriculture, 1997): 28. The Sutherland Forest Nursery, established by the Department of the Interior, was itself part of the Experimental Farm Service from 1931 to 1961. T.H. Antsey, One Hundred Harvests: Research Branch Agriculture Canada, 1886-1986 (Ottawa: Department of Agriculture, 1986): 388. Correspondence William Saunders to William Thistelton-Dyer, November 29, 1886, MR/615 Canada Cultural Products 1862-1909, Folio 327, Royal Botanic Gardens Kew Archives, Richmond, United Kingdom. Doors Open Ottawa, Central Experimental Farm. 5 June 2016. I am an Ottawa-based historical research consultant. My personal research examines the confluence of science, settler colonialism, and landscape change in Canada and my doctoral thesis explored the early history of Ottawa's Central Experimental Farm.